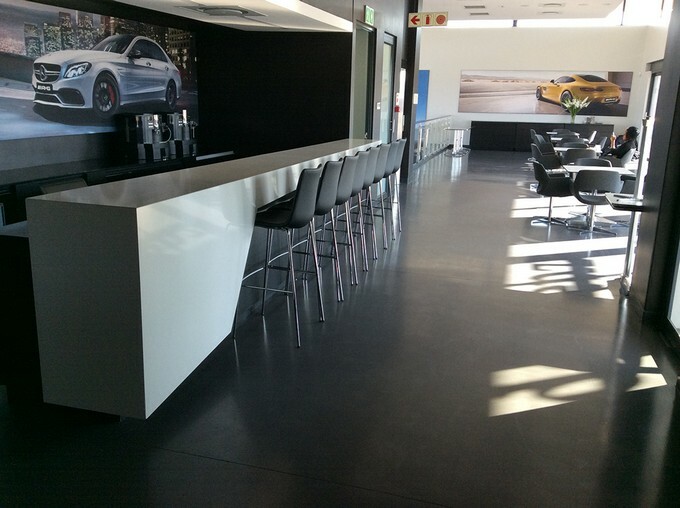 Being a flagship showroom for Mercedes AMG the requirement was for superior aesthetic value finishings. 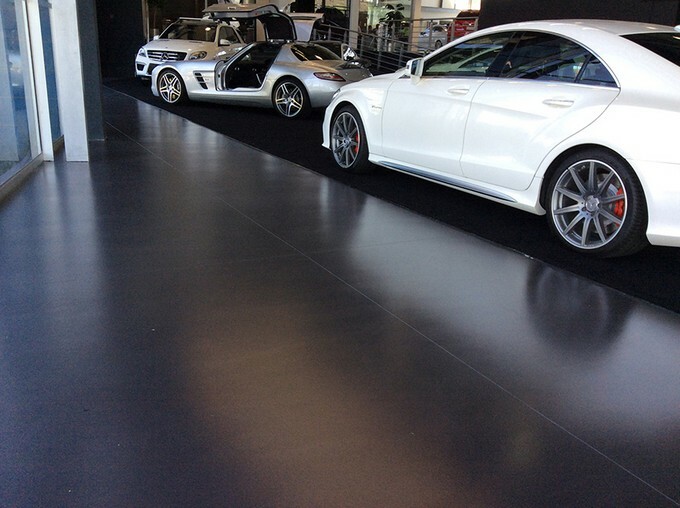 The floor solution had to have high aesthetic value in a dark natural colour, to showcase the remarkably designed cars as well as good compressive strength to accomodate the traffic and weight of the cars. Weber solution was for a robust floor system that met the technical and aesthetic requirements. weberfloor 4650 is an integrally coloured decorative screed with high compressive strength and a superior quality finish. We offered a solution that included surface preparation by recommending the subfloor to be grinded at 2mm and thereafter the application of weberfloor before laying a 6 mm thick self leveling decorative screed. 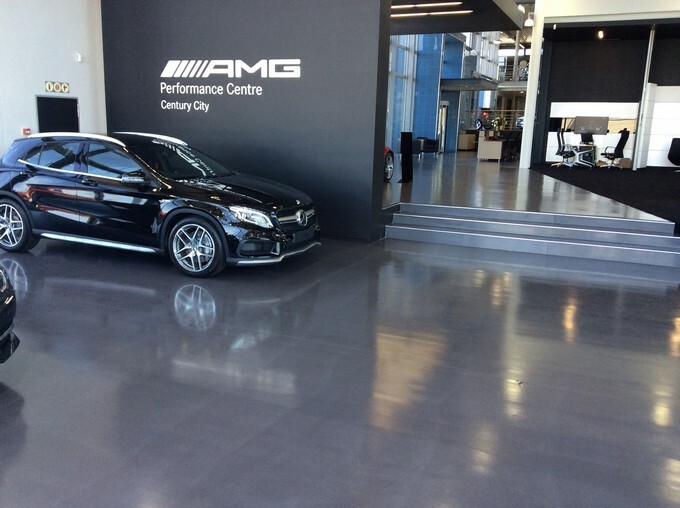 Afterwards the floor was treated with a wax surface treatment.